Nintendo has set up a number of Labo Workshops for kids across the US to get them acquainted with the cardboard DIY kits. The console giant said these workshops will give children "the opportunity to use skills not normally associated with video games to build amazing creations that are part imagination, part ingenuity”. Classes begin in September and will be supervised by lab assistants to teach kids the ins and outs of the Labo kits. These sessions will take place in 10 cities across the US, including Phoenix, Orange County, Baltimore, Philadelphia, Denver, Knoxville, Minneapolis, Charlotte, Savannah and Seattle. 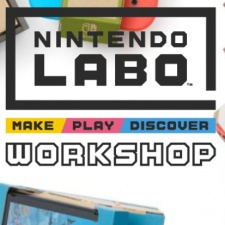 Admission to Labo Workshops is free and Nintendo is encouraging children of ages nine to 12 to attend. Those interested in attending can visit this link for more information.